Fluting paper is the middle liner of corrugated board, which can be used individually as a type of protective packaging paper. We offer Fluting/Medium in 90-300gsm range. Fluting provides protection by filling empty spaces in the outer case, providing a cushioning support for the primary product. Being an environmental friendly alternative to traditional packaging materials such as bubble wrap and other plastic based solutions, it is 100% recyclable and made from a renewable resource. Fluting paper is available in several different sizes and weights dependant on your specific requirements. It can be manufactured in three different flute heights – E flute (1.6mm) B flute (3.2mm) and A flute (4.8mm) and is commonly supplied in rolls. The term testliner refers to papers of different bursting strengths. Since some grades of testliner have lower burst factors due to containing high amounts of recycled fibres, the lower grades of testliner are often associated with recycled fibres. Testliner is a recycled base liner board for container board. The products consist of three layers. It is used for the inner and outer layers (face paper) of carton boxes, and is divided into three quality grades: LH, LE, LF. 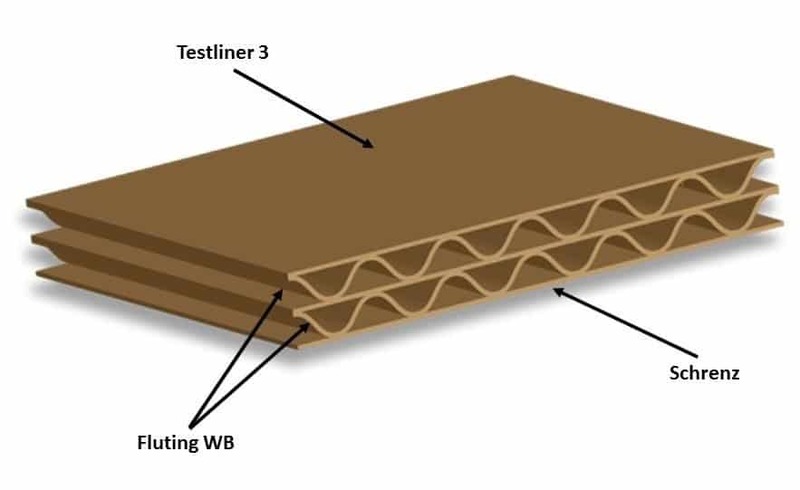 Testliner is ideal for use in corrugated boards as the top and bottom layers and can also have a white top (White Top Testliner). We offer Testliner from Europe and Russia in 90-250gsm. Testliner is produced from 100% recycled fibres. Colouring agents give it a stable optical colour. Addition of starch guarantees the strength of Testliner and a surface treatment, involving the addition of synthetic adhesives optimizing the printability of paper.